Broadly speaking, Computer Assisted Engineering (CAE) is the process of solving engineering problems through the use of sophisticated, interactive graphical software. It includes the series of disciplines which aim at digitally testing and verifying a product’s functions, properties and behaviour prior to physical prototype validation. 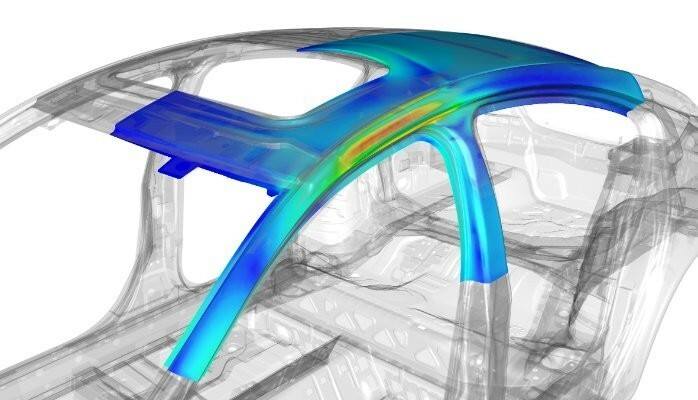 CAE is typically carried out in the form of Finite Element Analysis, Kinematics, Thermal analysis, Electrical, Fluid Dynamics, (…) using product data such as Bills of Material (BoMs), material and other property data, CAD representations, variant and configuration information, boundary conditions, interface data, etc. created upstream by Product Development & Design teams. Manufacturing organizations uses CAE to design and simulate solutions that are then to be mass produce products in a factory-based environment. It allows for more computations than is possible by hand, especially when it is coupled with data optimization systems and Simulation Life-cycle Management (SLM) solutions. This also links to Product Life-cycle Management (PLM). This post was originally published on LinkedIn on 2 July 2015.